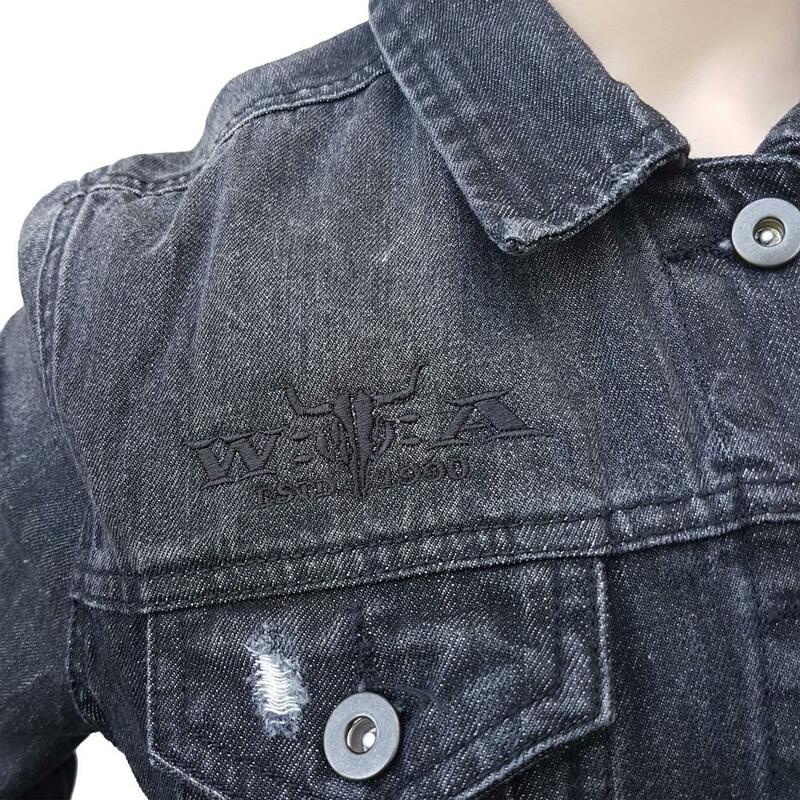 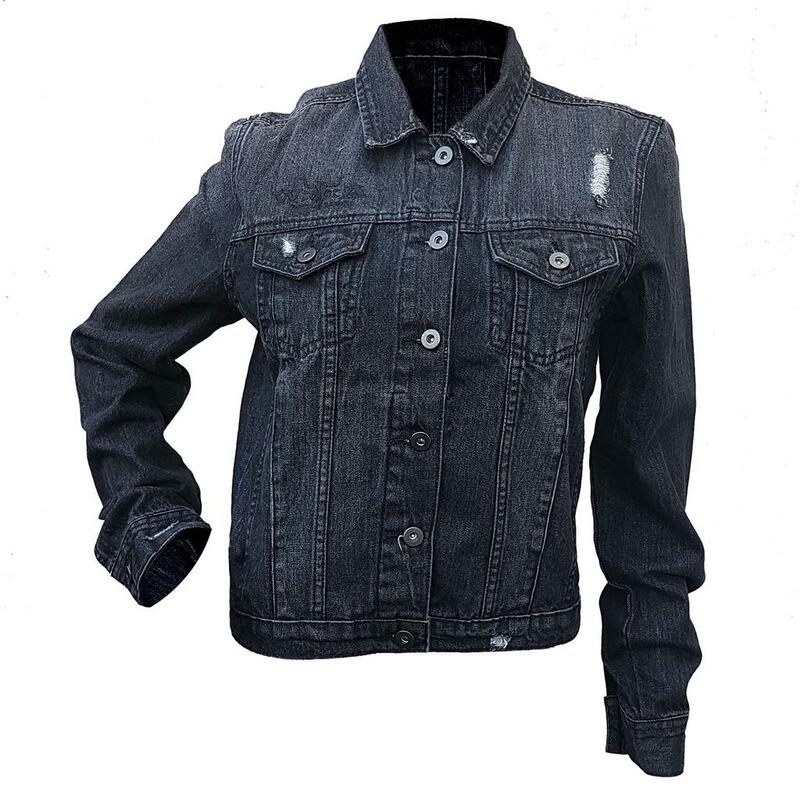 For all the female metalheads we have this black washed W:O:A denim jacket in a fashionable Used Look. 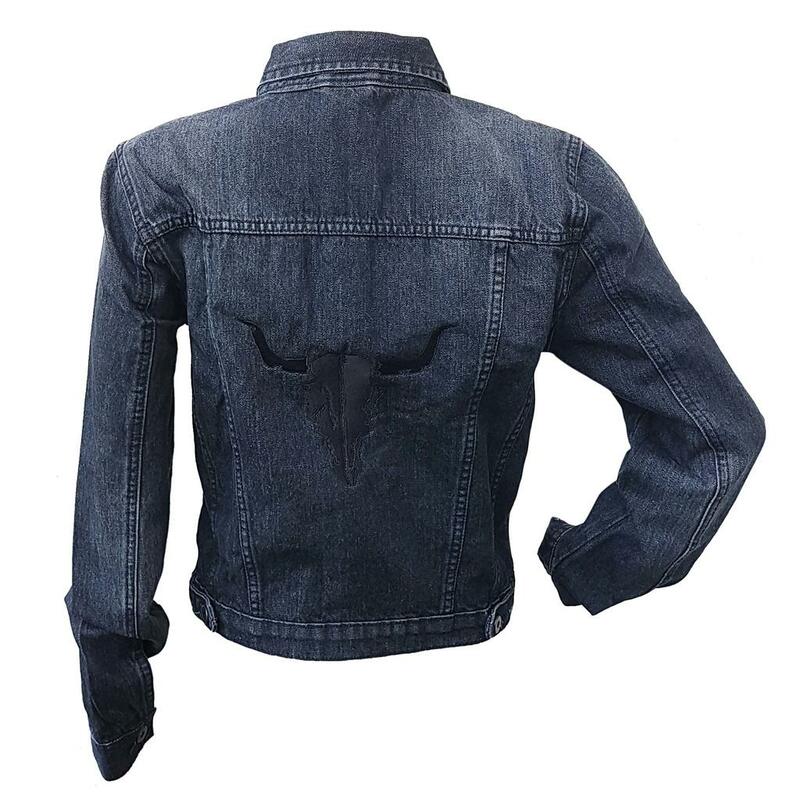 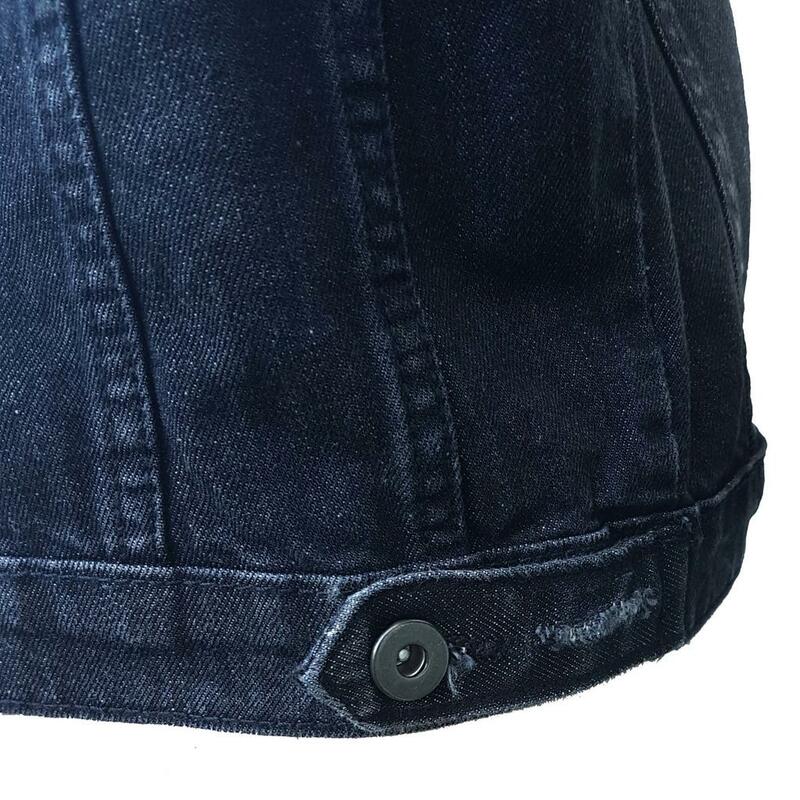 The jacket made of 100% cotton has two breast pockets and is decorated with an embroidered W:O:A logo on the right front side, as well as a black, embroidered bullhead on the back side. 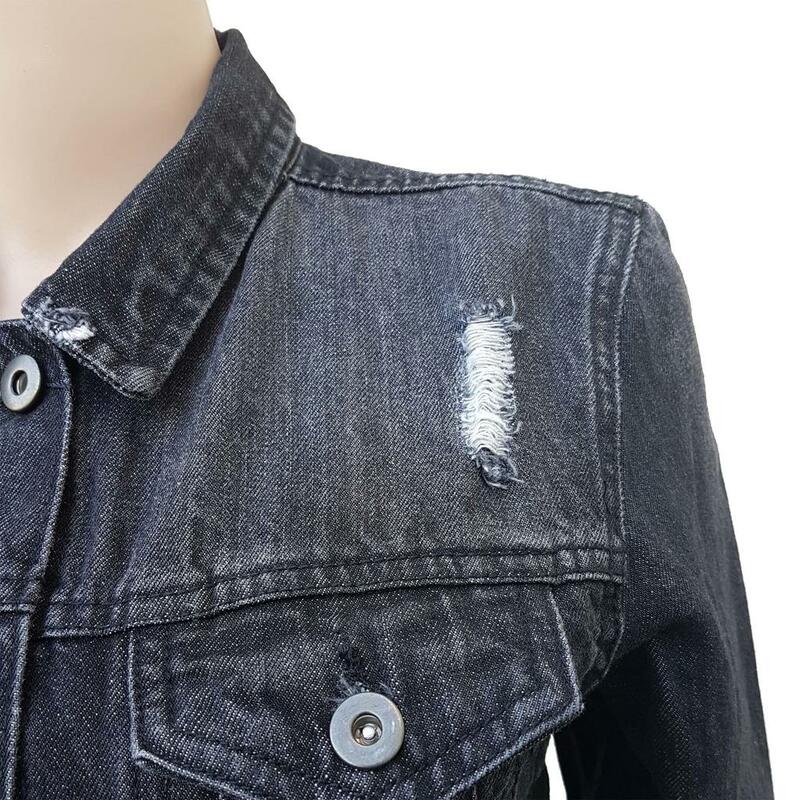 The jacket is close-cropped and the destroyed effects make it an absolute eyecatcher.